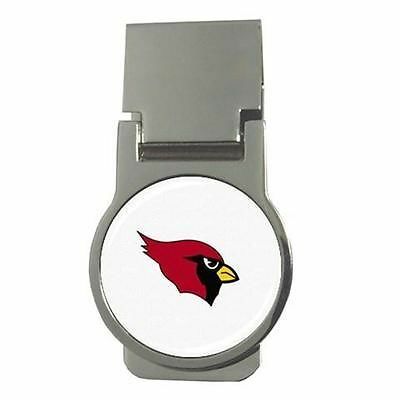 Arizona Cardinals Chrome Money Clip - NFL Football Arizona Cardinals Money Clip. It comes in two different styles: "Round Clasp" "Oval Spring" . Both the round and oval money clips are made of polished metal chrome and measure 2" x 1 1/4". The round money clip uses a clasp mechanism while the oval money clip features double springs to hold money tightly. If you have any questions, feel free to shoot me a message. Shipping Policy Terms of Sale We ship out orders 2-3 times a week. Once items an item is shipped it usually takes between 8 - 20 business days for the item arrive at your doorsteps. Hence, it can take up to a total of 26 days for items to arrive if you placed your order on the weekends. Please understand this and make sure you are ok with the delivery timeframe before placing your order. We value our feedback ratings greatly and strive to get a perfect score on every transaction. Thus, we want to make sure you will be 100% percent satisfied with expected delivery date before you decide to place an order. Additional delays may occur during the Christmas season and month of February. If you have an issue with an item you receive or have are dissatisfied. Before leaving a feedback, please contact us to let us know. 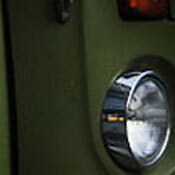 We'll do our best to find a solution and remedy the situation so that'll be happy and satisfied customer.